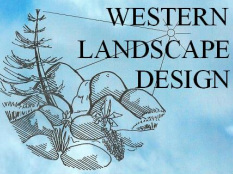 Western Landscape Design can adapt current landscapes to updated water requirements. This project involved placing a dry stream bed within a lawn area to decrease lawn watering requirements and to add a new point of interest to the landscape. Included was a 'desert wash' with cacti, pots and statuary.